(Islamberg, Hancock, NY, January 22, 2019) The Muslims of America, Inc. (TMOA) has been made aware of the arrests of four individuals for their alleged involvement in plotting to bomb and murder members of the Islamberg community. First and foremost, we, as believers, express our sincere gratitude to God Almighty for we recognize that it is only through His protection and grace was this heinous plot thwarted. Secondly, we would like to publicly acknowledge the tireless efforts of the state, local and federal law enforcement officers who have, once again, intervened to prevent a would-be massacre of our humble community. We applaud the young student who saved scores of American lives by reporting that something was wrong. Finally, we are thankful that representatives from Governor Cuomo’s office have been in contact with our community to offer support and assistance during this difficult time. The fear and utter dismay that sent shockwaves throughout the children and adults in our community over the past several days is not unlike the panic and unease which our community endured after learning that Robert Doggart and his co-conspirators were planning a similar massacre in 2015. It is beyond tragic that our nation continues to fester with Islamophobia, hate and religious intolerance. To bring justice and properly deter similar terrorist plots against our community, we are calling for the individuals charged, as well as their accomplices, to be prosecuted to the fullest extent of the law. We will follow these proceedings closely. The Muslims of America, Inc. will conduct a press conference on Wednesday, January 23, 2019 @ 4:00PM ET in the Holiday Inn Binghamton (Southern Tier Room) at 2-8 Hawley Street, Binghamton, New York, 13901. 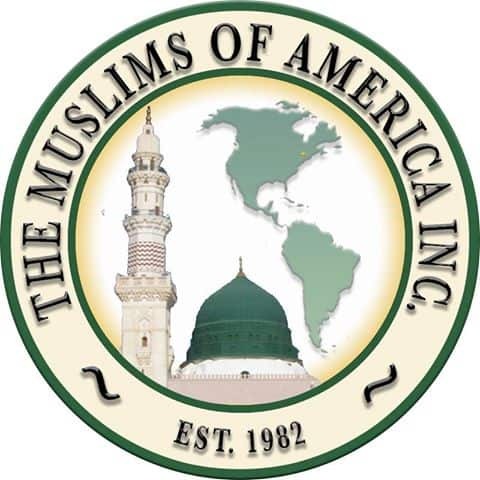 The Muslims of America, Inc. (TMOA) is an indigenous American Muslim organization founded in 1980 and based in the United States of America. TMOA is dedicated to maintaining Islamic principles to be practiced in both letter and spirit by forming communities focused on love for the Almighty Creator, His Commandments, and establishment of long-lasting relationships through interfaith programs.